Pearls Partners End Trafficking Now! End Trafficking Now is a global non-profit association working on a local level to combat human trafficking and provide support to victims. ETN’s mission is to eradicate the global epidemic of modern slavery by working with local organizations and law enforcement to rescue victims and end human trafficking. We at ETN believe that the hope for our society lies within our children. Standing against those who seek to exploit and harm children, and intensify human suffering is foundational for protecting innocence, fostering mental health, and empowering the causes of virtue and peace. ETN seeks to end modern slavery in all forms by freeing and supporting both adults and children who are survivors of involuntary prostitution, forced labor, and indentured servitude. Our undertaking is to help any and every victim recover from this systemic and malignant authoritarian trade. ETN’s objectives originate at the grassroots level in Austin, Texas, as a local association partnering with, and channeling donations to, the above organizations that are combating human trafficking. ETN also receives donations to directly aid and support survivors throughout their transition periods (typically 6 to 24 months). Additionally, ETN will generate and expand community awareness of human trafficking through outreach activities, such as developing and hosting fundraisers, special events, media appearances, as well as conducting public and private speaking engagements. Our aim is to expand our reach and influence beyond Austin, by franchising into different cities around the United States and the world, by cooperating with dedicated and passionate individuals equally committed to our cause. Upon expansion, the Executive Director and associates will assist new city start-up endeavors with mission framework and the ETN organizational model. The Executive Director will work in unison with other interconnected cities through social media, telecommunications, and site visits, especially during initial implementation. ETN is launching from a grassroots level with deep conviction in the higher purpose of our vision, and a trust that others will stand alongside us and multiply our efforts as we seek to establish a strong presence throughout the United States, and eventually, multiply internationally. 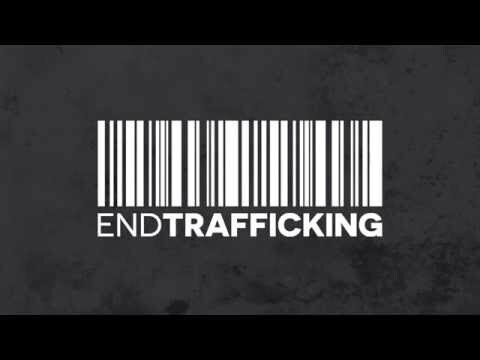 For End Trafficking Now to achieve eradicating this oppressive trade, we at ETN need your help. By getting more people involved on a direct level within our own communities, we, as a people, a nation, and a world, will make a profound, tangible impact. If together we can help rescue even one victim and help him or her assimilate back into society, then it is well worth the effort. Newer PostPearls Partners - CTCAHT! Older PostPearls Partners Ransomed Life!